Not all children with significant disabilities will achieve the ability to stand and walk independently. Certain issues like paralysis, hip displacement, spinal injury or cerebral palsy can all affect a child’s ability to stand or walk. Still we can help the learner to experience being in an upright position where arms and legs are free to move through the use of the HOPSA Dress. The HOPSA-dress is designed to give learners who are unable to stand independently, the opportunity to actively move their legs while in a standing position. Over time, individuals with special needs can improve arm and leg movements, head control, trunk control, muscle strengthening, practice weight bearing, improve circulation, improve balance and achieve the skills necessary for standing and walking. The Velcro belt secures the child, and has a snap quick release. The HOPSA-Dress can be attached to a single point such as an eye hook on a swing set, to a track system to allow the learner to move in a straight line over a specific distance, or to a floating H-track system to allow for free movement in any direction. It is manufactured in three sizes to fit children and adults. The HOPSA-dress is attached to a crossbar for support, which is then secured using a pulley or lift system. 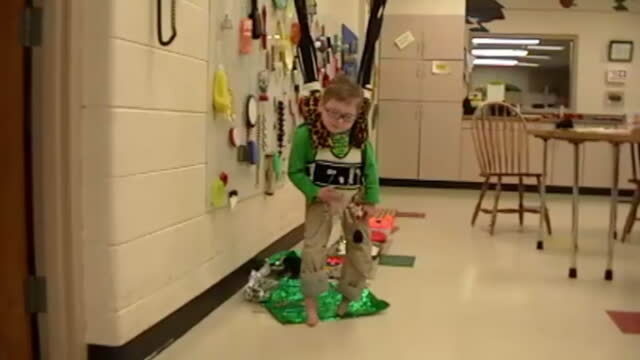 Below is a video clip of a young boy using a HOPSA Dress on the track system at Penrickton Center for Blind Children in Taylor, Michigan. Description: Jack uses a HOPSA dress and explores, both, beads and spoons attached to the dress and crinkle paper, plastic pegs and rice in containers under his feet. Description: Examples of Active Learning materials: HOPSA dress. When this video was made, Sonya had been using the HOPSA dress for more than two years, but had never moved more than a few feet. It took years of practice moving just very short distances, and over time she developed an understanding of the spatial relationship of where she was in the room. She is demonstrating the cognitive skills necessary to “trail furniture” or “cruise on furniture” even though she doesn’t have the physical skills to do so. You will see in the video that Sonya has poor head control and she is working on lifting her head up in a standing position while in the HOPSA dress. Sonya has one hip out of socket, but uses the other leg to move herself around the room. Her orthopedic surgeon is aware of the position of her hips and agreed that the use of the HOPSA dress was a good idea, as it encourages her to move her legs (as well as other body parts). 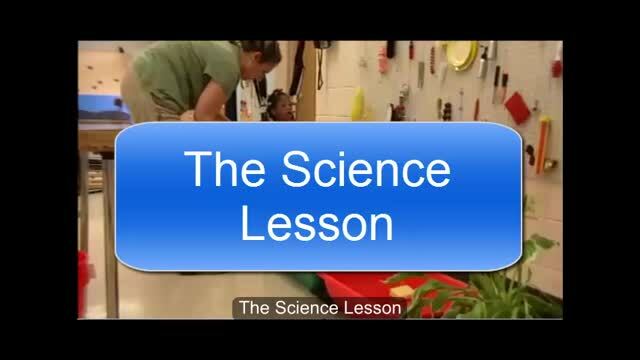 Sonya is unable to roll over or sit up by herself, but in this video we see that in the HOPSA dress she is able to move around and explore her environment independently. Description: Teenager using a HOPSA dress and Essef Board. Read more about the HOPSA dress and find out how to order one.